Automate your code inspections so you can identify more deficiencies, improve the quality of your instances, and speed up your development efforts. 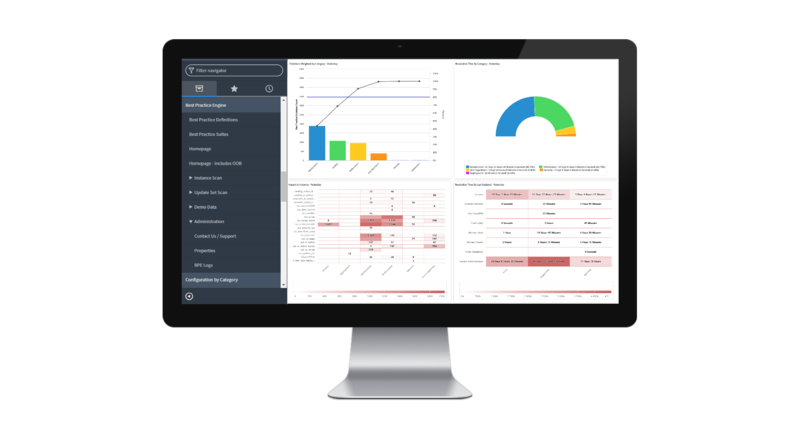 Best Practice Engine (BPE) not only identifies your current deficiencies, it also allows you to monitor and control development activities to proactively improve the quality of your system and support ongoing efforts to improve the system over time. For more information about how BPE can optimize your ServiceNow platform, read our whitepaper. How can our Best Practice Engine help you get the most out of your ServiceNow solution?